We're often asked 'what is the status and future of EV smart-grid charging and what can utilities do to accelerate it? In short, demand is high, infrastructure is ready, but build out needs to accelerate. What's the Current Status of Smart-Grid EV Charging? Currently, with over 11,000 stations in the field, mostly residential, and a large number of them connected to utility grid programs, eMotorWerks has more proven experience and knowledge about smart-grid charging than any other company. We have programs in CA with all 3 IOUs and several municipal and Community Choice Aggregation providers under which EV charging is actively managed, helping both utilities save money and customers earn payments for grid balancing participation. We also manage EVs across the country and are implementing programs on the east coast for grid services. This is to say nothing of the growing demand we are seeing in Australia, China, India, and Europe for our services and products. 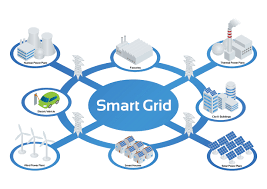 What Are You Doing to Expand the Smart-Grid Market? Through our existing EVSE OEM partners (and we are signing up more and more) we have access to approximately 50,000 additional stations that we are converting via small plug-in cards into third-party EVSE and our “JuicePlug” to be smart-grid capable. Our JuicePlug product - a universal smart grid charging adapter - gives us access to a full installed base of EVs throughout the world. Finally, EV manufacturers utilize our platform – both hardware and software – to provide grid services benefits to their customers upon purchase of a car. What About Level 2 versus Level 3 Charging? Level 2 residential capacity is growing and represents an enormous capacity for grid balancing. Similarly, long-stay workspace capacity is immense. In contrast, public L2 charging, which gets so much attention in the media, does not carry much value for EV-grid integration simply because customers do not want to have charging rates managed when they are at a short-stay public location - they just want the juice, then! At the same time, because of the benefits of ultra-fast, grid-friendly DC charging for long-distance travel, we believe that public L2 charging will become largely obsolete in the next 3-5 years as the infrastructure matures into L2 at home and workspace charging, which will largely supplant the outdated public L2 charging historically installed. Is EVSE Build Out Going Fast Enough? The build out of the wrong thing (slow public L2) is going slow, as there is no viable economic model behind it, hardware is too expensive, installation costs are too high, and there is marginal or zero grid service benefit to capture. The focus needs to be on the public build-out of fast DC charging plus residential and workplace L2 charging. However presently-available DC charging products are somewhat inadequate, as they are still quite expensive and progressively less grid-friendly due to their expensive electrical connection requirements and hardware costs, which are issues that eMotorWerks can address. What Role Can Utilities Play? Activities like those above will help utilities grow their EV-ready infrastructure faster and let them more effectively and cost-efficiently balance their grids.